BE AWARE OF BOGUS CALLERS! We have been alerted that bogus callers have been attempting to obtain bank details or try to sell products to patients, using the name of the patient's Health Centre. Please be aware that our staff will NEVER contact you to ask you personal financial details nor will we try to sell anything to our patients. We are here to provide health care to you. If you are contacted at home and are suspicious of the nature of the call - please contact the Practice Manager to report this. Thank you to those patients who completed a Patient Survey recently, regarding services provided by staff in your Health Centre. Your comments are valued and have been considered by the Practice Team. We are happy to note that 93% of patients surveyed said that they would be "extremely likely" or "likely" to recommend us to someone new to the area. 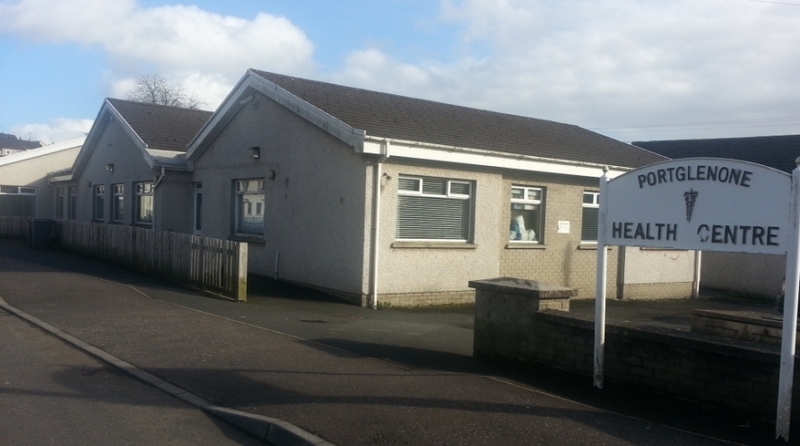 We are located in the town of Portglenone, approximately 10 miles from Ballymena in Co Antrim. We are a professional and courteous team which consists of five doctors and we provide a range of general medical services for our patients as well as Podiatry, Health Visiting and Speech and Language services, for example. The doctors run the Health Centre as a group practice. This means that when any one of the doctors is on leave, or absent for any other reason, the other partners will be available. Locum doctors will be engaged by the partners as and when they consider it necessary to maintain an adequate provision of services to the practice population. 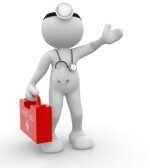 Any patient requiring a doctor when the surgery is closed is advised to telephone 028 25 663500. This will put you through to a service known as Dalriada Urgent Care which has centres based in Ballymena and Moneymore. This service is a co-operative between all the doctors in your local area. When you telephone this dedicated number you will be asked to give the reasons for your call. The doctor will then decide whether to advise you, ask you to visit the duty centre, or make a house call. It is for the doctor to decide whether a house call is necessary and he/she reserves the right to refuse home visits. Please note - this is an emergency service only and if possible you should wait until the next morning’s surgery to see the doctor. You should not attend the “out of hours” centre without telephoning them first! Please only request a home visit if you are too ill to attend the surgery. Such calls should be requested before 10.00am to allow the doctors to plan their visiting. Requests for genuine emergency visits during surgery hours will be accommodated at all times. You can receive the results of your tests between 11.00 am and 3.00 pm (Monday - Friday). Contact us via the main telephone number (028 25 821551) and Press 3 for Results.